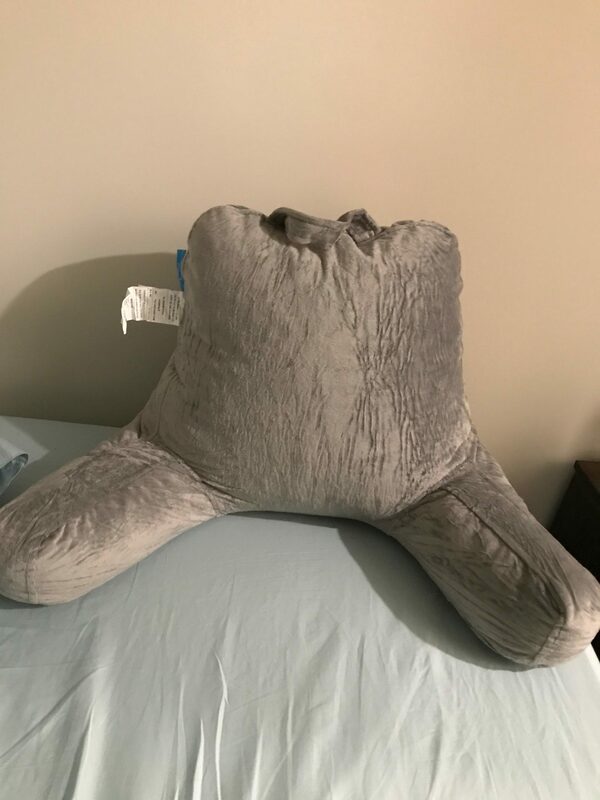 This Linenspa Foam Filled Reading Pillow review was recently completed by the MattressJunkie.com team. The pillow retails for $39.99 and is a great value compared to many similar, much more expensive reading pillows on the market. Linenspa has an array of sleep products from mattresses, mattress protectors, pillows, bedding, mattress toppers, bed frames, and pet beds. All of Linenspa’s products are reasonably priced and high quality from my own personal experience of testing. Check out more on the Linenspa Foam Filled Reading Pillow below. 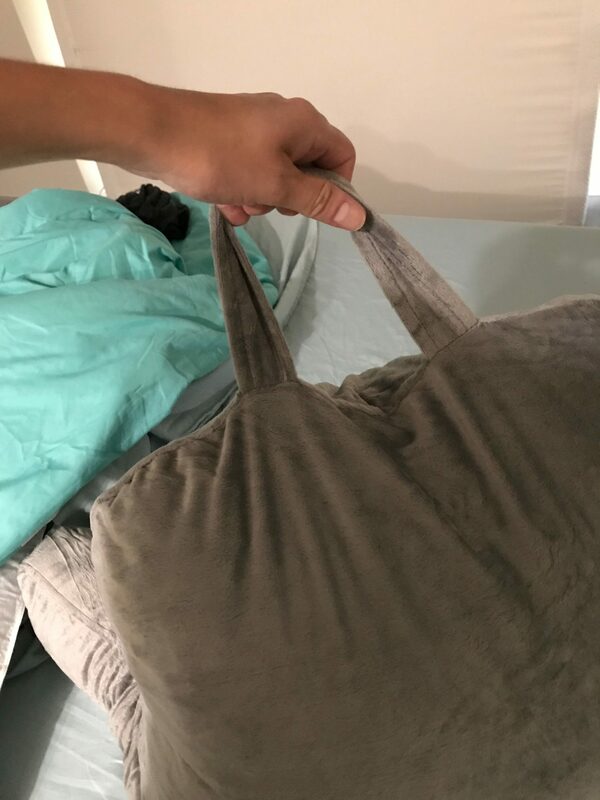 What’s the Linenspa Foam Filled Reading Pillow cover made of? The cover of the Linenspa Foam Filled Reading Pillow is a soft gray velour and is 100% polyester. The cover is ultra-breathable so you never get hot while using the pillow. Heat retention has been an annoyance with other reading pillows that I have tried in the past so this was definitely a pleasant surprise. What’s the Linenspa Foam Filled Reading Pillow made of? The Linenspa Foam Filled Reading Pillow is filled with 100% polyurethane clusters of shapeable foam for optimal support and comfort. The shapeable foam is easily fluffed in between uses so you get a fluffy experience every time. How much does the Linenspa Foam Filled Reading Pillow cost? The Linenspa Foam Filled Reading Pillow retails for $79.99 but is currently on sale for $39.99. What Size is the Linenspa Foam Filled Reading Pillow? The Linenspa Foam Filled Reading Pillow is 26 inches wide, 15 inches long, and 18 inches in height. Would we recommend the Linenspa Foam Filled Reading Pillow? The Linenspa Foam Filled Reading Pillow has plush armrests for a perfect level of support. Working on the computer in bed is way easier since I got this pillow. Typing on a computer without proper arm support will lead to neck and back pain over time. This pillow fits perfectly with your body so you never feel strained. Another feature that I loved is the handle on top of the pillow. This is so useful for transport and just shows the level of thought and detail that Linenspa puts into their products. Once again, Linenspa hits a grand slam with the best reading pillow that I have ever tried. Check out the Linenspa Foam Filled Reading Pillow here…..